We are worldwide supplier and manufacturer of high performance single phase and 3 phase ac motor speed controller in China. AC motors, in small to heavy sizes are used across various industries for different functions. While they are typically effective for peak load times, but at times when they are required to run at low speeds, the function becomes ineffective because of no control over speed which also causes loss of electrical energy. This is where an external source is required to control the speed of the AC motor to the required level to get optimum performance, improve energy saving and reduce wear and tear of the AC motor components. AN AC motor runs at steady speed when the applied energy is steady. This can be altered or changed by varying the properties of electrical energy waves. This is something that is highly required across industries and AC motor speed control devices provide the most suitable solution. These devices vary the phase angles, which in turn helps to alter the electrical energy from its steady sine wave to different-shape wave patterns which allows for frequency change resulting in change in how quickly the motor turns. 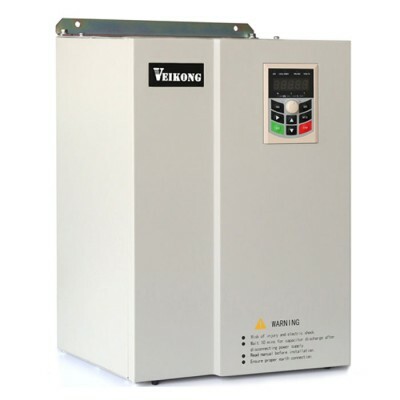 At Shenzhen Veikong Electric CO.Ltd., we design, manufacture and distribute a wide range of AC motor speed control devices and equipment, specifically suitable to be used across multiple-level applications in several industries. The devices are compatible with the existing system in the industries and are developed in accordance to the international standards, delivered at low prices globally.